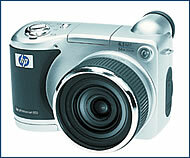 Digital imaging leader HP supplies shutterbugs with an important tool in the Photosmart 850, a digital camera meant for both aspiring professionals and tourists. 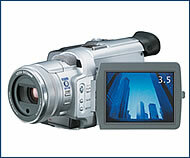 It includes an extended zoom, 5-cm LCD display, and 60-second video capability. It can be yours for CZK 21,590. The new Compaq Tablet PC TC1000 is light and only 2 cm thin, as it well should be: users are meant to be able to carry it around and draw on it with a stylus like a notepad. 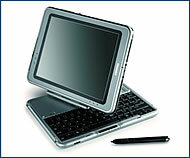 Featuring recently released Microsoft XP Windows Tablet PC Edition, it can also be docked and used the old-fashioned way – with a keyboard. Price: CZK 65,980. Panasonic’s latest, the NV-MX500 Camcorder, is designed to compete with high-end models from makers like Sony and JVC. 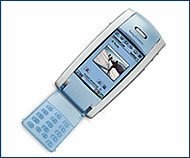 It’s capable of producing high-quality images as well as video footage, and comes with a built-in flash and up to 512 MB of storage (roughly 288 images). Suggested retail price is CZK 70,000.